The editors of Present Tense are excited to announce a new issue focused on meaningful political rhetoric, insightful technical rhetoric, and critical reviews of recent work. 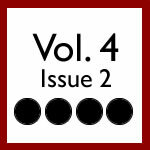 Volume 4.1 connects rhetoric and the public sphere in a number of ways and includes cogent articulations of how rhetoric functions in free speech, unexpected digital realms, and contested legal issues. The articles in this issue tackle how competing notions of the public mediate our conception of “free speech,” how algorithmic enthymemes can result in unintended, yet persuasive outcomes, and how reactionary immigration policy works as a rhetorical resource for those who wish to exploit latent xenophobia. 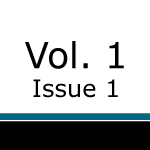 Issue 4.1 also includes a focus on critical review and reflection, including valuable programmatic planning and the cogent, thoughtful study of recent works in rhetoric and composition. Freedom of Speech and the Function of Public Discourse: Michael Donnelly explores competing models of the public sphere in order to highlight reactions from and reactions to the Westboro Baptist Church. Enthymeme as Rhetorical Algorithm: Kevin Brock studies algorithmic models of persuasion and situates enthymemes as rhetorically oriented algorithmic procedures through which persuasion is predicted (if not always achieved). Economic Globalization and the ‘Given Situation’: Jan Brewer’s Use of SB 1070 as an Effective Rhetorical Response to the Politics of Immigration: Kevin A. Johnson and Jennifer J. Asenas analyze Arizona’s recent SB 1070 immigration law and argue that understanding bills like this requires an assessment of the specific “given situation” and the realities of economic globalization. Program Review: Digital Composing and the Invention of a Program: Comprehensive Assessment and Faculty Development, Part 2: Ed Nagelhout and Denise Tillery continue their programmatic planning and review efforts – extending their study from Part 1 to include assessment and teacher development. Book Review: Rickert’s Ambient Rhetoric: Nicholas Crawford and Michelle Ballif review Thomas Rickert’s Ambient Rhetoric: The Attunements of Rhetorical Being and his articulation of a rhetoric beyond its commonplace assumption as a uniquely “human” activity. Book Review: Restaino’s First Semester: Jennifer Sweeney analyzes Jessica Restaino’s First Semester: Graduate Students, Teaching Writing, and the Challenge of Middle Ground and finds thoughtful storytelling and a sensitive treatment of graduate teaching assistants. Book Review: Hulan, McArthur, and Harris’ Literature, Rhetoric and Values: Jennifer R. Ballengee considers Hulan, McArthur, Murray, and Harris’ collection Literature, Rhetoric and Values: Selected Proceedings of a Conference held at the University of Waterloo and finds growing sophistication at the intersection between rhetorical and literary study. We thank readers for supporting Present Tense and invite you to download the articles from this latest issue for your own scholarship, teaching, and general interest.